Ten treated for dehydration after getting stranded in the northern Negev; 150,000 Israelis flooded national parks Saturday. 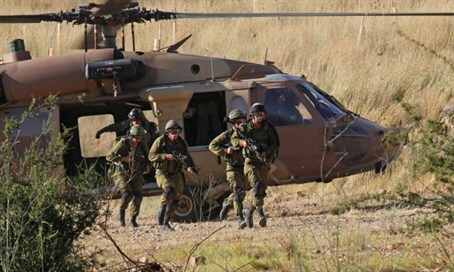 The Arava Rescue Unit of the Israel Police's Southern District saved 70 stranded hikers Saturday, after a group of Israelis - including children, adults, and the elderly - became overly dehydrated during a trip to Nahal Peres in the northern Negev. Medics at the scene treated five people for shock and dehydration, Walla! News reports; five were evacuated to Soroka Hospital in Be'er Sheva for further treatment by helicopter. The incident followed a record day for hiking in Israel. 150,000 Israelis visited national parks, beaches, and nature preserves Saturday, in the wake of a heat wave after days of winter weather. The most popular spots: the Banias Nature Reserve, Ein Gedi, and Caesarea, Masada, Ashkelon and Beit Guvrin national parks.